347 records – page 1 of 7. 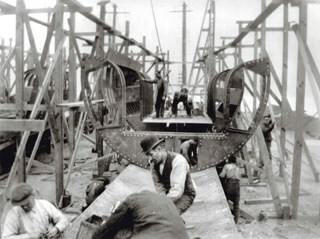 Development in the Broadview area slowed during World War Two, but after the war, the area became home to a number of industrial sites. 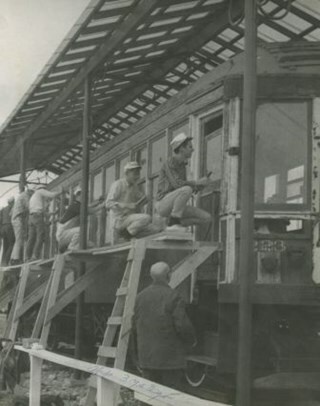 The first major plant to be built here was the Dominion Bridge Company which opened in 1930. 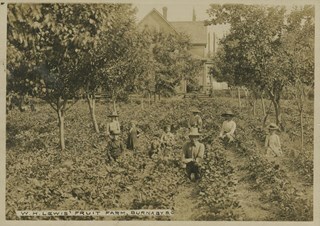 The higher elevations of Burnaby Mountain's south slope produced the ideal soil and temperature conditions for prized native foodstuffs like salmonberry, Indian plum, red elderberry, and other plant species to produce fruit three weeks earlier than elsewhere. The West Central Valley Neighbourhood is home to the Bridge Business Park and is a primarily industrial neighbourhood. Similar to the adjacent Dawson-Delta Neighbourhood, West Central Valley offers businesses convenient access to major roads and highways. Since the building boom of the 1950s, the Kingsway-Beresford Neighbourhood has maintained a residential character with the exception of the Kingsway corridor, which has become a primary commercial and light industrial sector. On 26 April 1969 Swangard Stadium held its official opening. 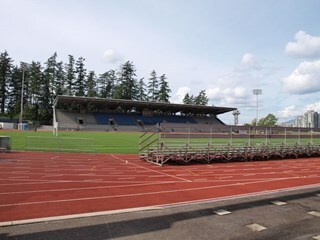 Named after Vancouver Sun former Managing Editor, Erwin Swangard, the stadium was funded entirely from private donations and civic and provincial grants. The Edmonds Street Neighbourhood is part of the larger Edmonds Town Centre - one of four Town Centres in Burnaby. This neighbourhood is considered to be primarily residential, but a strong local commercial component developed along Edmonds and Kingsway. 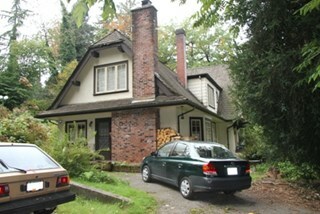 Vancouver Heights remained an important residential and commercial centre in Burnaby throughout the 1925-1954 period. 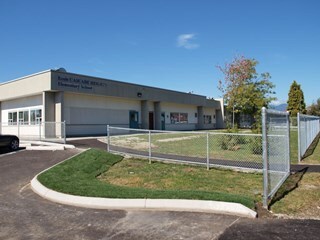 The area had its own Board of Trade and the North Burnaby Library was created to serve the residents. 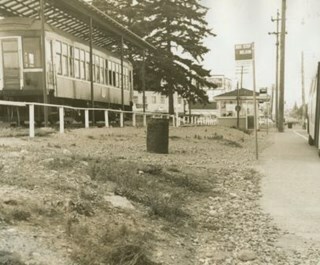 In 1949, the Hastings streetcars stopped running, but the area retained its reputation as one of the best shopping districts in the city. 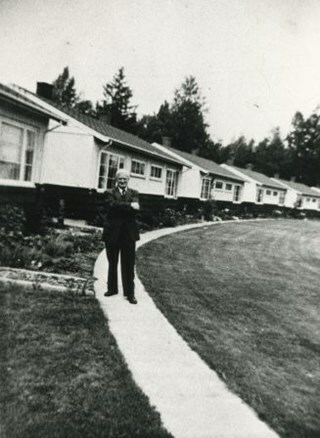 The Westridge Neighbourhood of Burnaby was created as a new subdivision during the post-World War Two housing boom in Burnaby. Developed by the C.B. Riley Company, it was laid out in a plan contoured to the shapes of the land and was situated to allow residents easy access to main transportation routes. For years, the idea of creating a park on Burnaby Mountain was favoured by people in Burnaby. 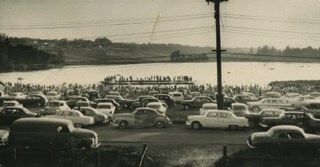 In 1930, the Municipal Engineer submitted a report recommending that the city acquire land in the area with a view towards formally dedicating the space for public use. In 1942, Commissioner Richard Bolton enacted Bylaw 1772 which officially dedicated the mountain as public park. 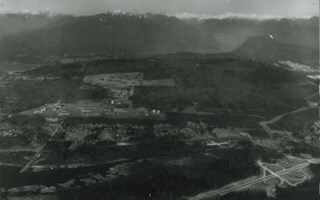 Among the first new elementary schools to be built during the post-World War Two housing boom in Burnaby, Cascade Heights opened in 1953. Additions to the school were made in 1954, 1963 and 1969. 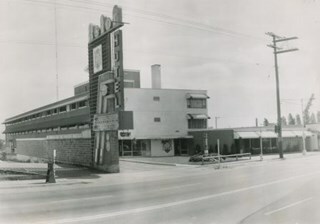 The Simpson-Sears store on Kingsway opened in 1954 and was the second Simpson-Sears to be located in British Columbia. The store helped to solidify the neighbourhood's growing reputation as a major commercial centre in the Lower Mainland and became a prototype for the company's large format stores across Canada. The Kelly Douglas Company was founded in 1896 as a wholesale grocery business. It enjoyed rapid success during the Klondike Goldrush of 1898 when it became a primary supplier for prospectors. 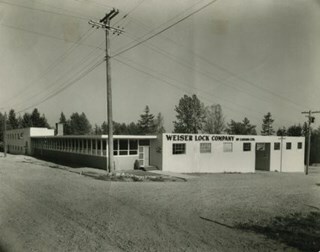 In 1946, its headquarters moved from Vancouver to Burnaby and a manufacturing plant and warehouse was built on the site. 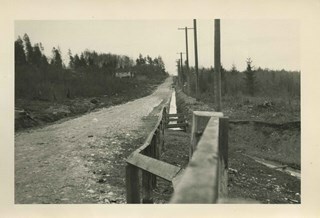 Like a lot of residential neighbourhoods in Burnaby during the post-War boom, the Lozells area during the 1925-1954 period was one of new construction and subdivisions. 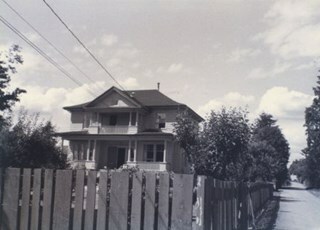 Although more homes were being built, the neighbourhood still retained a somewhat rural characteristic well into the 1950s. 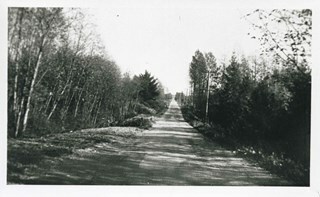 By the 1950s, the Burquitlam Neighbourhood was becoming a residential and commercial centre for the northeast section of Burnaby. 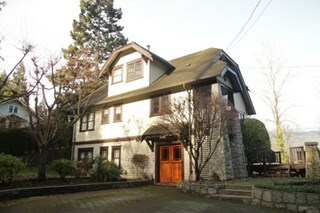 The Sullivan Heights area was developed as a single-family residential area with the Lyndhurst School opening in 1954. 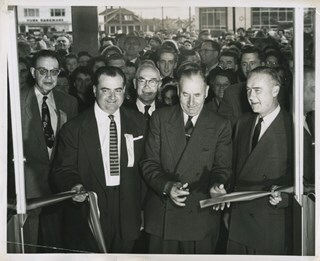 The completion of the Lougheed Highway in 1953 encouraged more commercial and retail development and fostered the growth of the neighbourhood throughout this period. The Lyndhurst Elementary School was built in 1953 to replace the previous school - the Hamilton Road School - which had served the community since 1910. 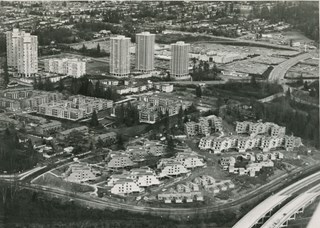 As with many areas of Burnaby during this period, the years after World War Two marked a rapid growth in residential development in the Alta-Vista Neighbourhood. Subdivisions like Sussex and Suncrest were built and new schools and amenities were constructed to meet the demands of increased population. 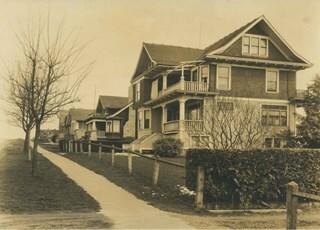 After a lull in construction during the World War I period, East Burnaby Neighbourhood's growth resumed during the 1920s when many homes and businesses were constructed. The post-World War Two period also saw rapid construction and the creation of new housing developments in response to a population boom. The neighbourhood remained a primarily single-family residential area. According to Tsleil'wautuh Chief Len George, as many as 10,000 band members once lived along both sides of the Burrard Inlet, but disease took its toll in the 1400s and Europeans brought smallpox in the 1800s. In 1792, Captain George Vancouver charted this inlet of the Pacific Ocean. 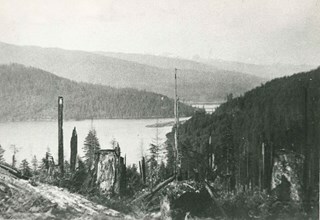 Brothers Herbert, Walter, James and G. Emerson Gilley began operating the Gilley Brothers Logging Company in 1887 and in 1903 took over the logging business of L. T. Dundas, setting up camp on Burnaby Mountain. Gilley logged over 2.5 million board feet of timber and cut 20,000 cords of shingle bolts here. The Gilley Brothers also logged areas of South Burnaby. 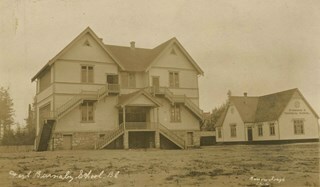 West Burnaby School was to be Burnaby's second public school and it served the children who lived along the tram line and Vancouver Road (Kingsway). The original route of the Central Park tramline wound through New Westminster and then came up 6th Street to Edmonds, along Edmonds and across Westminster Road (Kingsway) to Highland Park and into Vancouver. Consequently, the first area of the future Municipality to attract settlers in any number was around 6th Street and Edmonds. 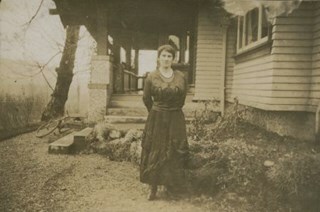 By 1892, about 200 people had established homes in East Burnaby. This site was a top secret site where 460 men worked on the assembly of five submarines for the Russian Navy during World War I. The Seattle contractor was forbidden from doing the work in the US because of American neutrality regulations and he set up the secret plant here without the knowledge of the Canadian Government. 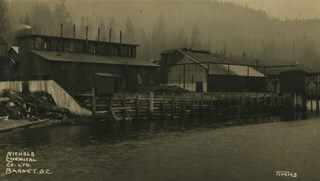 In 1905 the Nichols Chemical Company, acid manufacturers based in Montreal, established their plant on a large point of land just east of the North Pacific Lumber Company. 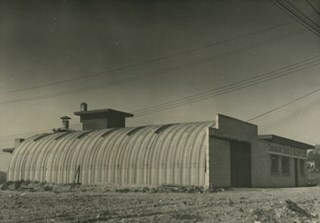 This company was later amalgamated and acquired by General Chemical and remains in operation on the original waterfront site. The convenient location of Willingdon Heights to the Trans Canada Highway, Lougheed Highway and Hastings Street has fostered its development as a primarily residential commuter neighbourhood. Characterised in the post-World War Two period by predominantly single-family developments, the neighbourhood has retained this identity despite some higher density apartment buildings now found there. The Dawson-Delta neighbourhood in Burnaby developed into one of Burnaby's numerous industrial areas after 1955. The Eastbrook Executive Business Park opened in the 1970s and the Willingdon Green Business Centre includes buildings from the 1980s to the 2000s. Convenient access to major roads and highways fostered these developments which remain zoned for industrial uses to this day. 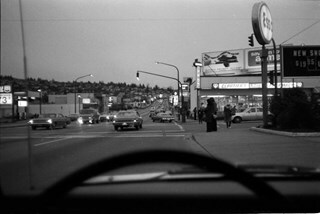 The Capitol Hill Neighbourhood remained a primarily residential neighbourhood after the population boom of the 1950s and 1960s. 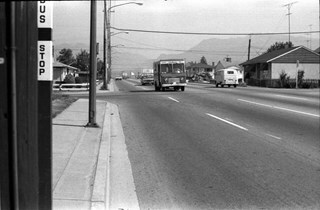 The commercial focus remained the Hastings Street corridor, while the City of Burnaby moved to protect a conservation area on the north side of Capitol Hill and dedicated parkland throughout the 1970s and 1980s. After its initial subdivision and development in the early 1950s, the Parkcrest-Audrey Neighbourhood continued to be a primarily residential area. In the 1980 Residential Neighbourhood Environment Study, the area was characterised as a stable residential neighbourhood that was served by the major collector streets Holdom, Broadway, Parker and Kensington. 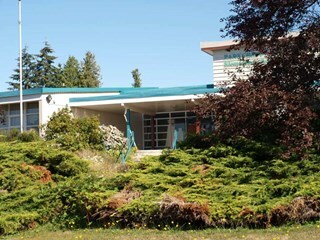 Parkcrest School was opened in 1960 to accommodate the growing population in the area north of the Lougheed Highway between Holdom and Sperling Avenues. 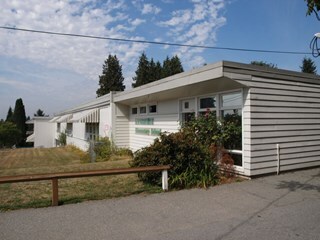 The school was expanded with additional classrooms in 1964 and 1968. The Marlborough Neighbourhood is another residential area that was witness to rapid growth and subdivision during the 1950s and 1960s, creating primarily single-family housing stock. In the 1970s and 1980s, as the commercial district around Kingsway grew, so too did higher density housing projects such as townhomes and condominiums. The phasing out and demolition of the Oakalla Prison farm allowed for the planned development of the Oakalla Neighbourhood in the 1980s. 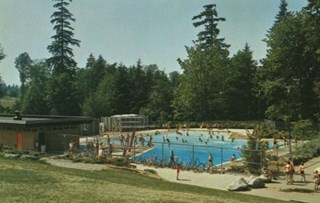 By 1991, the City of Burnaby had adopted the Oakalla Development Plan which called for the transfer of land to the Deer Lake Park reserve as well as the creation of a new residential area consisting of multi-family housing types. After the building boom of the 1950s, the Government Road Neighbourhood became characterised as a stable, single-family residential area. In addition to the residential component, the neighbourhood also has a significant industrial sector, along the north side of Burnaby Lake, and a commercial zone to the north along the Lougheed Highway. The Cameron Neighbourhood falls within the Lougheed Town Centre area - one of four Town Centres in Burnaby. The Cameron Neighbourhood - while containing significant high-density residential components - is also home to the Town Centre's office and commercial core. The Lougheed Mall is situated in this neighbourhood, which is served by the Millennium Line SkyTrain. 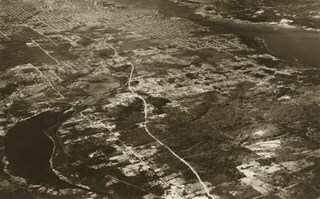 The Cariboo-Armstrong Neighbourhood was mainly subdivided in the 1950s during the major building boom in Burnaby throughout the post-war years. Considered a primarily residential area, the neighbourhood has quick and convenient access to major highways and roads as well as being bordered to the north by the George Derby Conservation area. Second Street had its origins in the 1910-1920 era and the Second Street Elementary School was built in 1928. Substantial new housing was built in the late 1940s and 1950s and infilling occurred during the 1960s and 1970s. By the 1980s, the neighbourhood was primarily a single family area with a small number of multi-family buildings. The Richmond Park Neighbourhood is part of the larger Edmonds Town Centre - one of four official Town Centres in the City. Richmond Park contains a residential subdivision that developed during the 1950s as well as a strong commercial and retail centre along Edmonds and Kingsway. Like many other areas of the City, the Lakeview-Mayfield Neighbourhood was subdivided during the 1950s post-war building boom. Pockets of newer homes were built in the 1970s, and the neighbourhood retained its character as a primarily residential area. 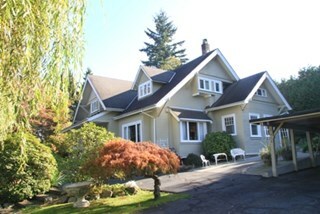 The neighbourhood is bordered to the east by Robert Burnaby Park. The Sussex-Nelson Neighbourhood is located just south of Metrotown and in 1980 was characterised as the most populated of all of Burnaby's Planning Study areas. The area immediately south of Metrotown was initially developed as post-war 1950s housing stock, while the sector south of Rumble was developed after the 1960s and 1970s as single-family housing. 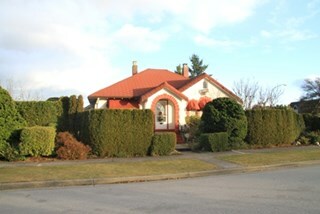 The Suncrest Neighbourhood is a small residential area south of Burnaby's Central Park. The Ocean View Burial Park takes up a large area of land in the north-east corner of this neighbourhood and the majority of the housing was built during the 1930-1960 period. The primarily single-family subdivision and development in the Clinton-Glenwood Neighbourhood occurred during the building boom of the 1950s. Later development fell under the guidelines established in the Royal Oak Community Plan (adopted in 1999) and resulted in an increase in the number of multi-family units. 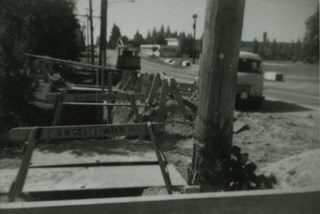 The interurban link between New Westminster and Vancouver stimulated the early settlement of Stride Avenue. Infilling of the area took place in the early 1950s and the pace of development had slowed considerably by 1970. Duplexes became a popular feature in the decade between 1970 and 1980 and in the late 1980s, the neighbourhood was incorporated into the Edmonds Town Centre South plan. Built for Annie Barrett-Lennard, this British Arts and Crafts residence has retained many of its original features, such as its stucco and half-timbering exterior with a cat’s slide roof over the front entrance. The steeply-pitched gables, asymmetrical half-massing, leaded windows and pegged joinery are all references to traditional British antecedents. Built for Mary McNeil, this house is a well-preserved example of an interwar Period Revival cottage, combining eclectic elements such as curved entrance porch buttresses, rolled roof edges, round-arched windows, smooth stucco cladding and imitation voussoirs. The house retains its original window sash with leaded glass panes. 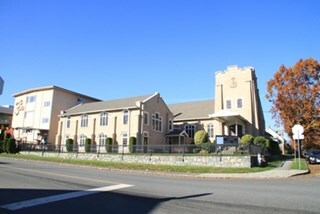 This building was originally built in 1926 as the Vancouver Heights United Church; a Sunday School was added in 1931, which conformed to the church building’s Romanesque influenced style. This unique Burnaby building has retained its remarkable three-storey tower with buttresses and stepped parapet. It now houses the New Apostolic Church. 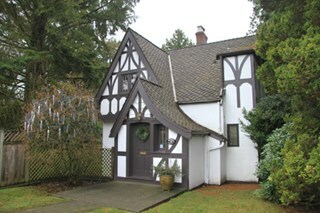 This house is one of two surviving houses built as a “Model Home” for one of the assistant managers of the Barnet Lumber Company, using framing lumber and millwork sawn at the mill. This house was also designed by the firm of Townley & Matheson. The house was raised and renovated in 1997, resulting in alterations such as new dormers and elongated porch piers.